Schneider Electric’s takeover of Invensys is going ahead without the bidding war that some observers had predicted. The French multinational is paying £3.4bn ($5.2bn) for UK-based Invensys, making it Schneider’s biggest acquisition since it bought American Power Conversion for $6.1bn in 2006. Schneider describes the acquisition as “a strategic deal to further boost our positions in integrated industrial automation and in the ‘electro-intensive’ segments”. It suggests that the two businesses are “highly complementary” and that the combination represents “a unique opportunity to create a global leader in industrial automation, advanced software solutions and power solutions”. 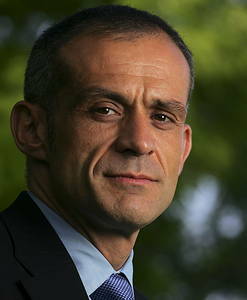 Schneider’s chairman and CEO, Jean-Pascal Tricoire (above), says that the addition of Invensys' businesses “will considerably strengthen Schneider Electric's overall offering to its industrial and infrastructure customer base, reinforcing us as a global leader in energy management solutions integrating power and automation, as well as leading software for customer efficiency. Invensys’ annual revenues are around €2.2bn with industrial automation accounting for about €1.2bn of this, followed by appliance controls (worth around €400m), software (€300m) and energy controls (€300m). Schneider has yet to decide what to do with the appliance controls business. Invensys brings a strong and diverse customer base, including the world’s third-largest base of installed distributed control systems (DCSs). More than 60% of its revenues come from supplying automation systems to the “electro-intensive” industries. According to Schneider, Invensys supplies: all of the world’s ten largest mining companies; 21 out of the 25 largest food and beverage companies; 18 of the top 20 pharmaceutical companies; and 23 of the top 25 oil and gas companies. The merged business will span the discrete and process automation spectrum. Schneider's activities are shown in green; Invensys' in red. Schneider says the acquisition will “significantly strengthen” its position in these markets, while Invensys’ presence in segments driven by process automation will be complementary to Schneider’s historical presence in segments driven by discrete and hybrid automation. In the software sector, Invensys has brands including Wonderware, SimSci and Avantis, and an installed base of more than 750,000 licences. Schneider says that Wonderware’s technology will reinforce its presence in the HMI market. Schneider plans to combine Invensys with its Industry division, broadening the division’s geographical footprint and increasing the proportion of income it derives from “solutions and services” from 24% to 40%. The division will grow in size from around €4.5bn to €6bn, and it will change from being predominantly a short-cycle business, to a more balanced portfolio of short- and long-cycle activities. Schneider expects the acquisition to deliver revenue synergies worth around €400m a year by 2018, and cost savings of around €140m a year by 2016, as well as tax savings worth around €80m a year over the first five years. It estimates that integration activities will cost around €150m in 2014/15. Some of the savings will probably come from reducing the combined workforce. At present, Schneider employs 140,000 people worldwide, and Invensys 16,000. In the UK, Schneider employs more than 3,500 people, while Invensys employs more than 1,100.